Newcon Optik has been designing and producing state of the art optical systems since 1991. Their commitment to high quality and customer satisfaction has established them as one of the leading names worldwide. They produce image intensifiers and optical components in house, enabling them to produce sophisticated systems that meet international and military specifications. Innovative concepts built around cutting edge technology with a guarantee of customer satisfaction have made Newcon Optik an internationally recognized market leader in tactical and sporting optics. 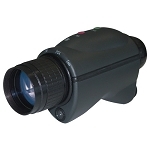 Newcon now offers a comprehensive Professional Surveillance Kit built around their extremely popular night vision monocular, the Night Witness. You'll be ready to ready to engage your target at a moments notice when you have this kit on hand. The hard shell case contains and protects most, if not all, of your mission specific accessories in an organized fashion. There are many different variables that affect the distance that one can see with a night vision device, among them the object's size, the level of details being sought from the object and the conditions of observation. Night vision devices detect much further under a full moon and clear skies than they will under a new moon and cloudy skies. Many different formulas are used to determine the statistic of maximum viewing range and the method of calculation varies by manufacturer. The important factors to consider when evaluating any night vision device are the intensifier tube's generation, s/n ratio, level of magnification, specified resolution, along with the clarity & light transmission efficiency of the optical system. All night vision devices sold by B&H have mechanisms in place to protect the intensifier tube from a sudden burst of bright light, but this does not mean that bright light doesn't damage the device. No matter what, bright light in any form is not good for the longevity and performance of image intensifier tubes. The hard carry case contains many extremely useful night vision tools. The 5x 1000mm f/1.7 lens is a huge objective with enormous light gathering abilities. 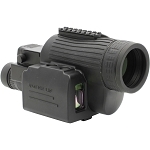 This high quality optic delivers supreme magnification levels, giving you the tactical advantage of detecting and identifying your target from greater distances. This kit also includes cleaning supplies to keep your state of the art night vision optics clean, clear, and ready to work. There's a camera and video adapter that allows you to attach your NVD to a recording device so you can review your mission later, or send a live feed to your command post. 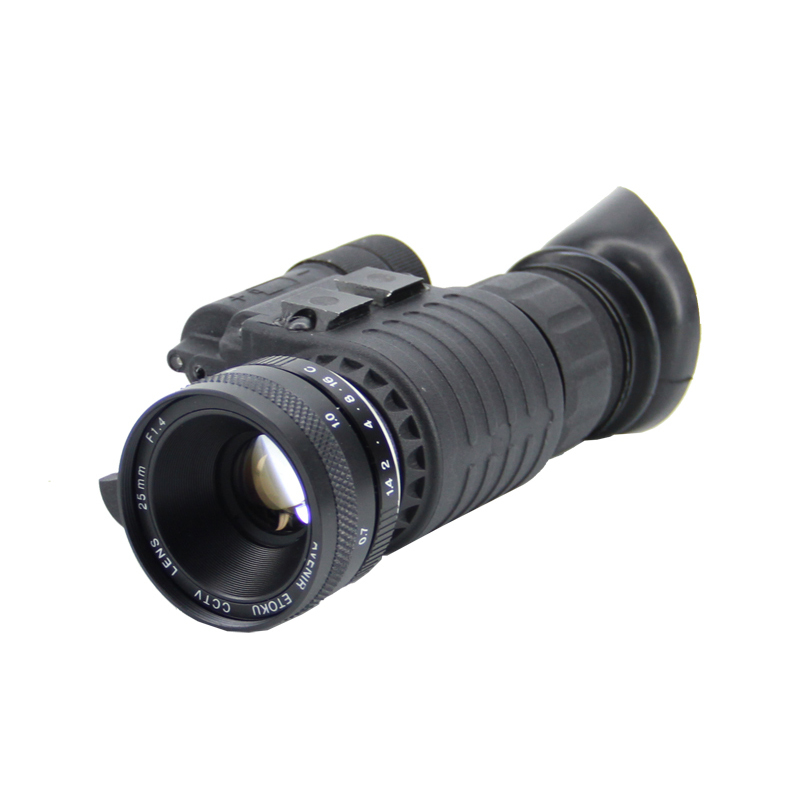 The quintessence of this kit revolves around the Night Witness 3rd Generation night vision monocular. 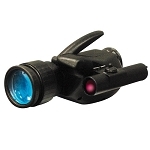 This NVD was engineered for low light observation and photo or video surveillance. It has become one of the most versatile and popular systems for law-enforcement, search and rescue, and military organizations. It is constructed of high quality aluminum and titanium for long term, trouble free use. This water, shock, and corrosion proof exterior is ergonomically designed, and provides comfortable and secure handling, even under rough conditions. The replaceable humidity collector filled with desiccant greatly improves its reliability substantially. The modular design is enhanced by its intelligent control system and various accessories. 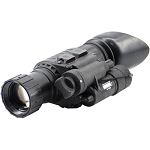 The standard configuration features a 1.25x magnification, but with the included 1000mm lens the Night Witness is transformed into an ultra high powered night vision spotting scope. Tantamount to all concerns is its ability to resolve clear, sharp images for the viewer. This Night Witness sports a technologically advanced 3rd generation intensifier tube capable of resolving 57 lp/mm. Your Night Witness will deliver a clear line of sight, with edge to edge sharpness. Third generation intensifiers are less prone to bright-light blooming, and provide excellent sharpness across the entire field of view. Be prepared and light up the night with your Night Witness Professional Surveillance Kit.